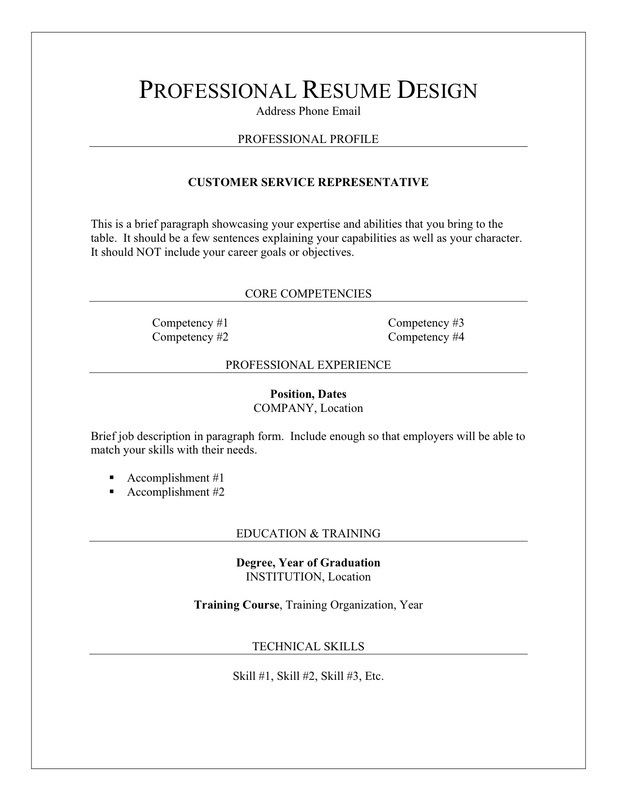 While formatting will differ depending on your background and career goals, generally there are two main groups when it comes to designing a resume. Choosing the best design based on your future goals (not necessarily on your background) is key in order to make sure your resume lands in the right pile. The majority of people who are writing resumes are likely targeting professional industries. By this we mean, careers that include administrative, accounting, banking and finance, human resources, legal, IT, education, customer service, sales and marketing, project management, engineering, and the list goes on. And while there are many ways to make your resume unique, following some basic guidelines when creating a design will help to keep your resume conservative and relevant. 1. Layout: Use a layout that is traditional by keeping your name and contact information on the top, followed by a brief professional profile. Also, use simple section dividers to group information, avoid using trendy columns, and keep margins at, or close to, 1 inch. 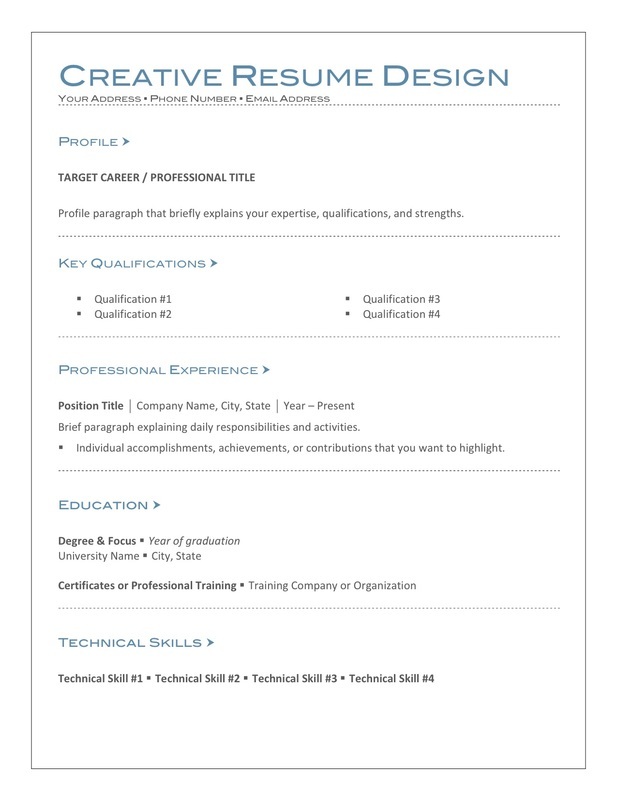 Find out more about formatting a professional resume. 2. Font: Choose a serif or sans-serif font that is formal and very common. Do not use fonts that are hard to read but instead are very clean and present you in a professional manner. 3. Color: Avoid using any color with the exception of possibly using a darker grey. The general rule is to stick to black and white as this is the easiest to print and send via email. Typically, creative industries not only require a resume but also a portfolio of your previous work. These professions could include graphic and web design, illustration, photography, music, acting, creative directors, events and promotions, some writing/journalism careers, product development, public relations, and all types of art. Again, you must tailor your design to fit the company and industry that you are targeting. So even if you are a web designer but are applying for a position at a more traditional type of company such as a legal firm, choosing the professional design might be a better fit. But for others, here are some guidelines to consider that reflect a more creative approach while still maintaining professionalism in your resume design. 1. Layout: Layout is not bound to traditional settings. The sky really is the limit as long as the resume is clear and draws in the reader. Avoid putting too much on the page but instead keep things simple with ample white space. 2. Font: While common fonts are always appropriate, you have a little more flexibility with a creative design. Stick to one or two different font styles at the most and make sure the script is easily read. 3. Color: Color is always welcome and may help your resume stand out but consider that some may not show up well when printed out. Also, choose colors wisely and remember that the main reason is draw attention, not to overwhelm. 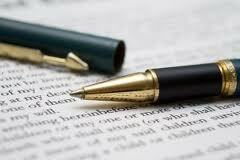 Check out resume writing services to get help on creating your next professional resume!